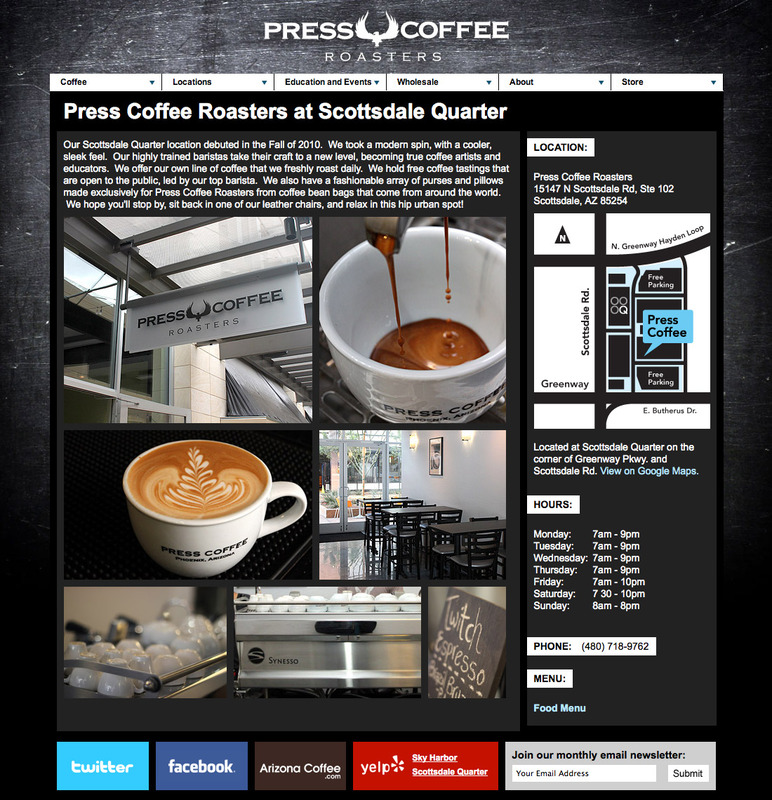 Press Coffee Roasters is an independent coffee company with locations in Scottsdale and at Sky Harbor Airport in Phoenix. The company opened its flagship store at CityNorth in 2008 (which later closed) and its second location at Scottsdale Quarter in 2010. The company operates a separate coffee roastery in Phoenix where it roasts coffee for its stores and wholesale accounts. 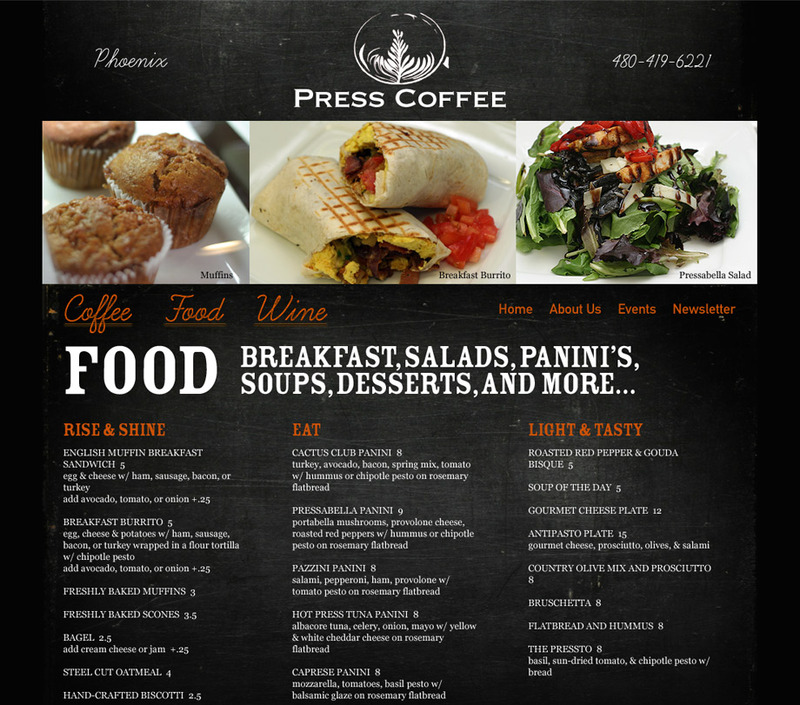 Press Coffee Roasters was recently named Best Coffee House in Scottsdale by Phoenix New Times. We launched their original web site in 2009 and a second new web site in 2012 that added a new site design with online shopping. The current web site launched in 2012 and allows customers to order coffee beans (and also coffee brewing equipment) online. 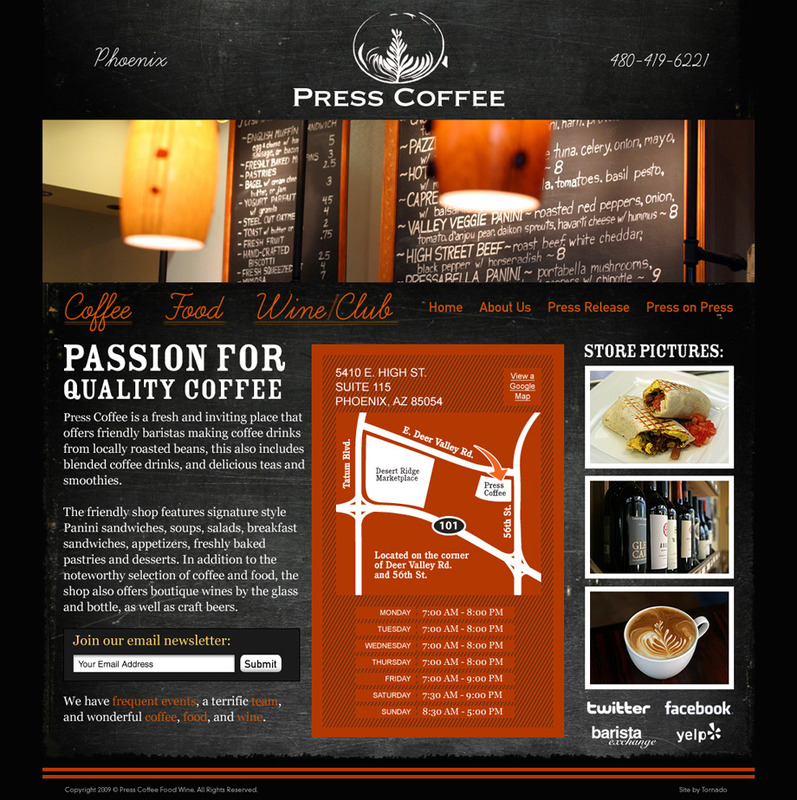 It has been a pleasure working with Press Coffee’s marketing team to help them develop their online brand. Detailed location information and photos. And yes, we drank a ton of cappuccino’s while we designed this site. Home page features bold distinctive photography all taken by Chris Tingom / Tornado Design. 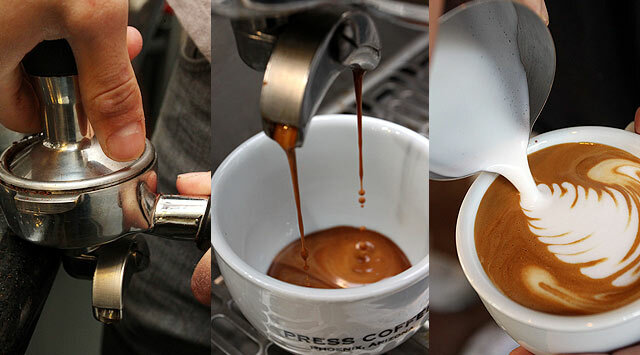 Press Coffee is not just another coffee shop. The company asked us to help them stand out and get noticed online. They have quite a bit of local competition, and previously looked like just another coffee shop online. Press Coffee Roasters gave us virtually complete design freedom. We chose to go with a dark background so that the photos would really pop (we also took most of the store and food photos). We then used some of the orange color tones in our design that the store is using in their other branding, and in the store design. Perceptions matter. 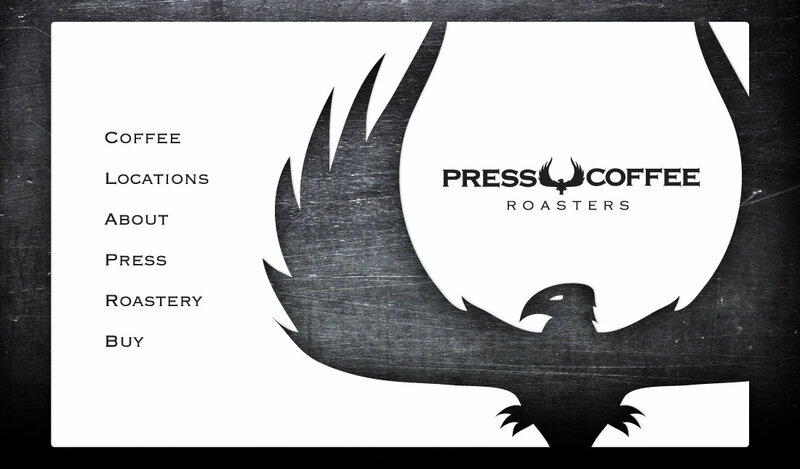 The Press Coffee branding we created has been quickly adopted across all of the Press Coffee Roasters marketing and is having an affect on their perception in the marketplace. 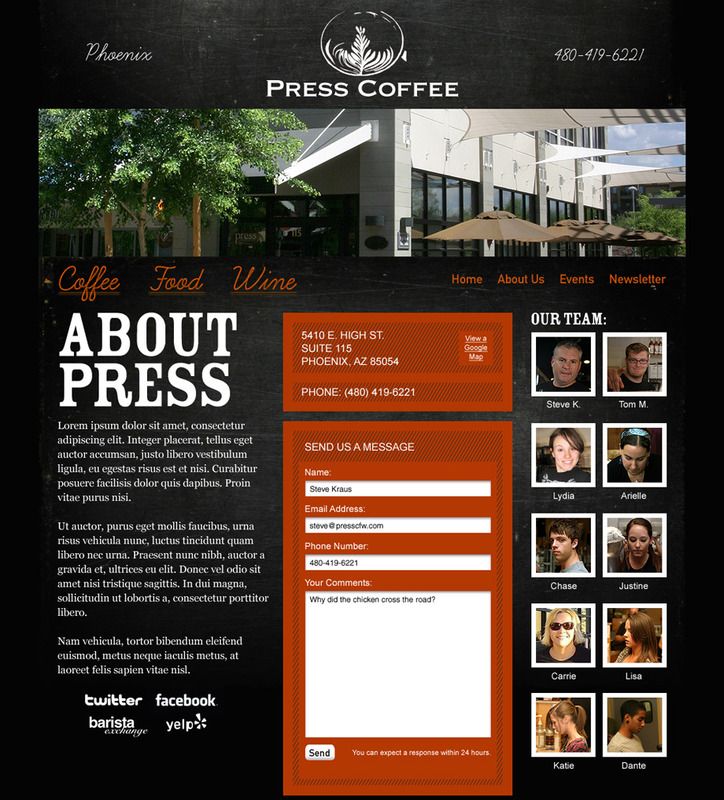 The entire team has a photo on the sidebar of the About Press Coffee page. Custom photography for Press Coffee Roasters.